Rosanne is challenging us all today and she want us to be inspired by the Pantone colour of the year.........Orchid. Now don't be ashamed if you have absolutely no idea what colour this actually is (I thought orchids were predominantly white!! ), cause I'm going to make it perfectly clear.......we want to see 'purple'! Lots of purple please and there's no denying the 'purple' on my creation. I've been branching out with my Silhouette this last week, so this is a definite 'playing with paper' kinda card. I also won't go into how fiddly those flowers were.....but they were very fiddly. Other than the newness of my Silhouette, everything else is extremely old stuff from my stash......especially the paper - that horrible thin stuff that no-one uses anymore and I didn't even realize I still had at the back of my closet! So go ahead and dig into your own Wagon for some 'purply' goodness......you never know what you might find! Just remember to link up your fabulous creation over on the blog. The Girlfriends are waiting there with a little more inspiration for you. Love the flowers!! So pretty Jayne!! Oooooh, loving all the different shades of purple! Fab! Wowie, zowie - those flowers are amazing! 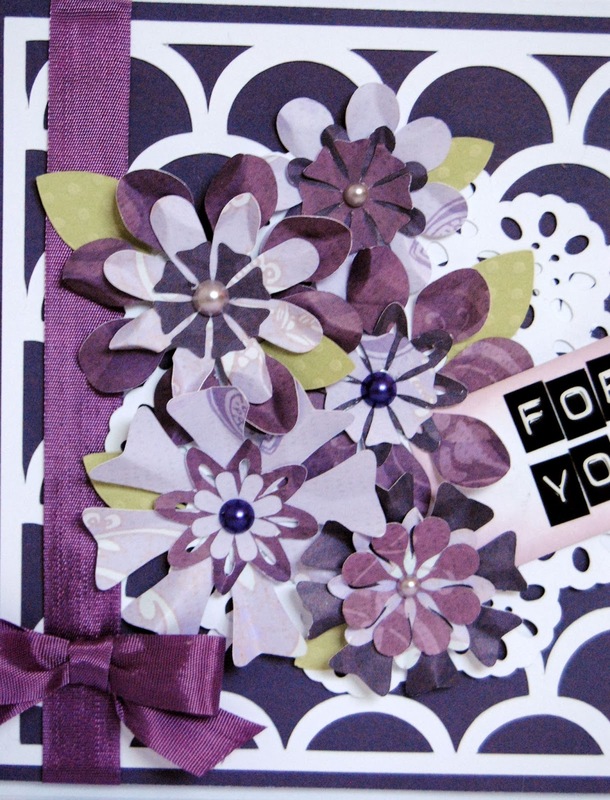 Gorgeous card, Jayne! Stunning card. The flowers look amazing. I think those flowers were worth it, you card is absolutely lovely! 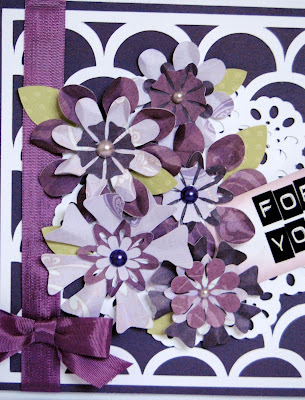 You did TERRIFIC on your card, I KNOW how fiddly them flowers can be as I not only own a Silhouette but design as well!!! I hope you'll come on over and scoop some of the freebies I keep posting up!